I recently posted about donating your wine corks for the Gallo Initiative. However, you may have a collection of corks from different wineries and looking for something fun to make with them. 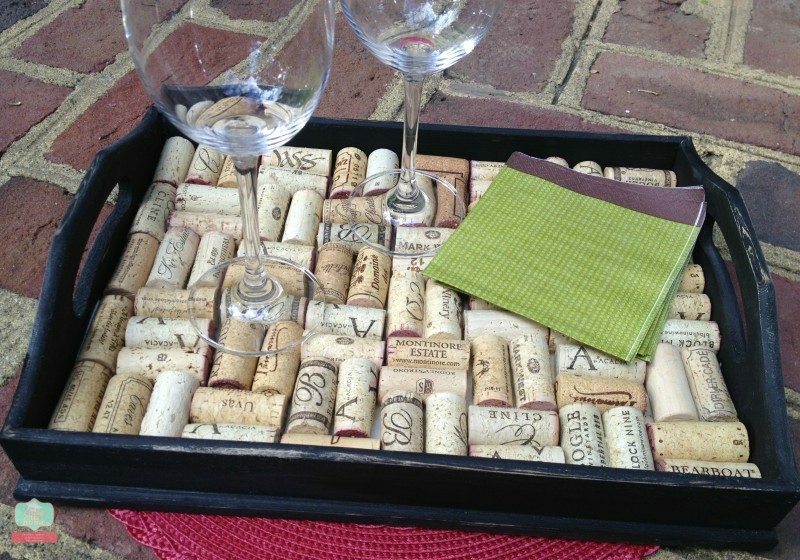 How about a DIY Cork tray that makes a great and inexpensive gift (if you don’t include the cost of the wine you had to drink first) This DIY Wine cork tray can be made in an hour or so depending on the finish you choose for the tray. We purchased a unfinished wood tray at our local craft store. So thrilled to have another tutorial posted on Parade.com. 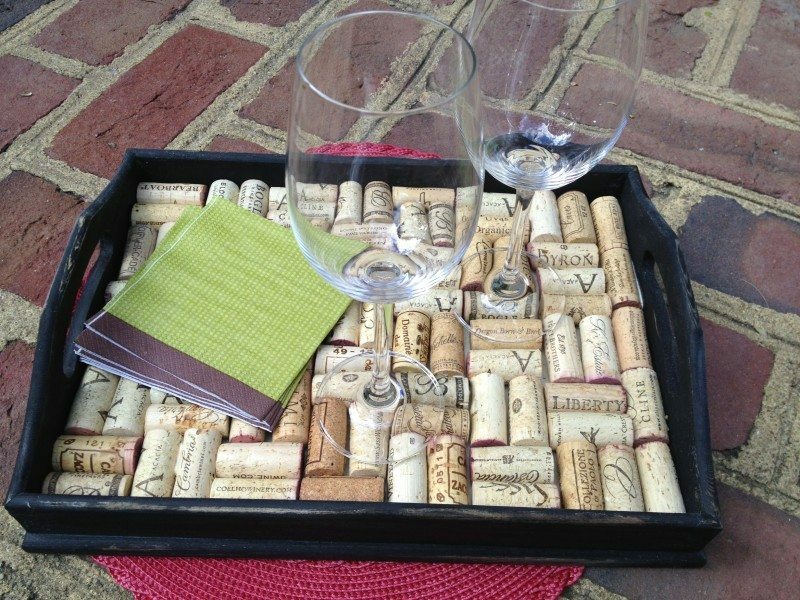 You can find out how to make this fun DIY wine cork tray on their website here. Buy a simple wooden tray from your craft store and it or you can use a painted wooded tray you find at a second hand store. Either way you will have an adorable wine cork tray in minutes. With the use of glue and corks your craft is over. Please visit and give the article some love if you get a chance. I would love to have it featured in the paper version. For other wine cork projects visit my tutorial on Cork Initials or Cork Wreaths. All make great gifts all year long.